Oiled Copper waterproof leather and the waterproof membrane bootie help to keep your foot dry in the Lubbock steel toe. 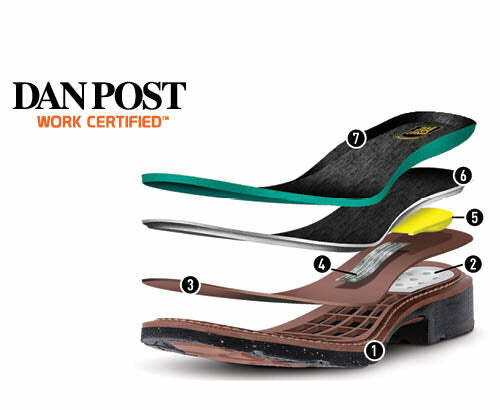 Your foot will love the Removable, Breathable and Washable Orthotic with anti-microbial moisture-wicking cover. The outsole is lightweight, oil, heat and slip-resistant.